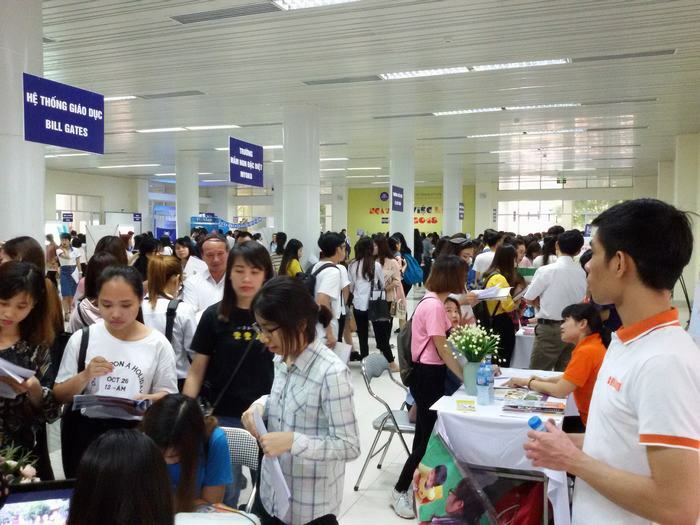 In the morning of April 24th, 2018, Hanoi National University of Education held a Job Fair in 2018 at Hall 11-10. Attending the festival, in addition to representatives of corporate recruiters from the Department of Education and Training, Department of Labor, Invalids and Social Affairs; Department of Culture - Sports; Department of Tourism ... there are many direct employers of more than 30 units from the system of schools (from kindergarten to high school), enterprises and units operating in the field of education and communication; and more specifically, the Job Fair was attended by over 1800 K64 students ( seniors) of the College, as well as many freshmen, sophomores and juniors. 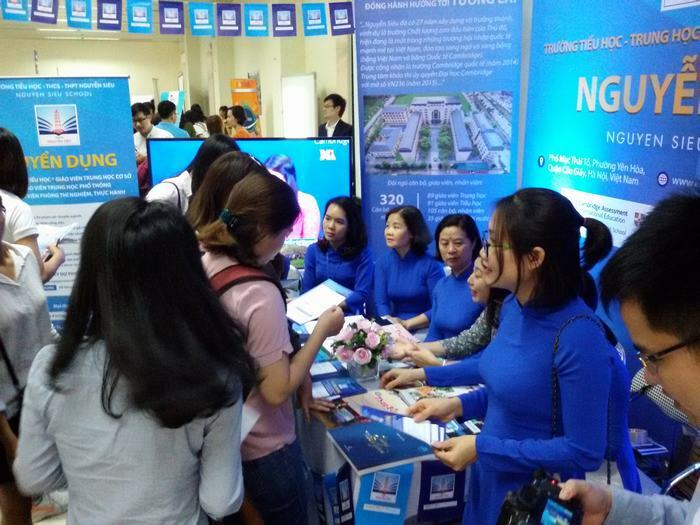 At Job Fair 2018 of Hanoi National University of Education, the human resource units have had the opportunity to learn and convince their confidence in the quality of training of the school; simultaneously share information about their organizations as well as the job positions to be recruited and connect, interview directly with students of the University. There are 30 booths of units registered to participate in direct recruitment. Of which, there are 18 schools from Kindergarten, Primary school, junior high school to high school, bilingual training schools, schools for gifted students; specialized schools: Hanoi Academy International Bilingual School; Wellspring International Bilingual School; Vinschool Educational System; Edison Schools; Nguyen Sieu Primary- Secondary- High School; Green City Academy High School; The Olympia Schools; Bill Gates Schools; Viet Nam- Australia School , Hanoi; KinderWorld International Group; Myoko Specialized Kindergarten; Western Hanoi School; MyQuest School;…12 units which are organizations, companies in the field of education, science, technology such as: iSmart Education Vietnam; Aplus Math - Mathnaisum Vietnam Company; Technology Equipment and Technology Transfer Company; POMATH Educational Development JSC; Be Unique Youth Research Center; EDUFIT Company; Education shareholding company.vn; Edufly Cultural Cultivation Center ... There are also units from remote provinces as Lao Cai High School for gifted students. 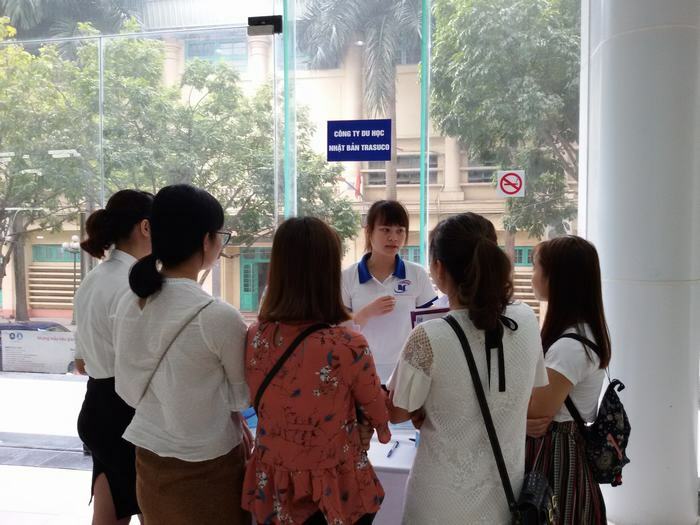 Particularly, among the units that have direct recruitment booths, some of the leaders are graduates of Hanoi National University of Education. This is such a great encouragement to the school and its students. 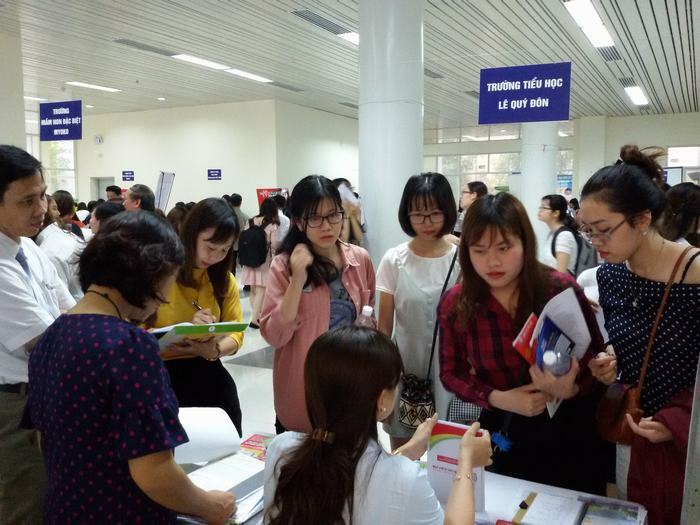 The Job Fair Organizing Committee in 2018 has also received more than 550 job positions from recruiters to register for recruitment on the occasion. 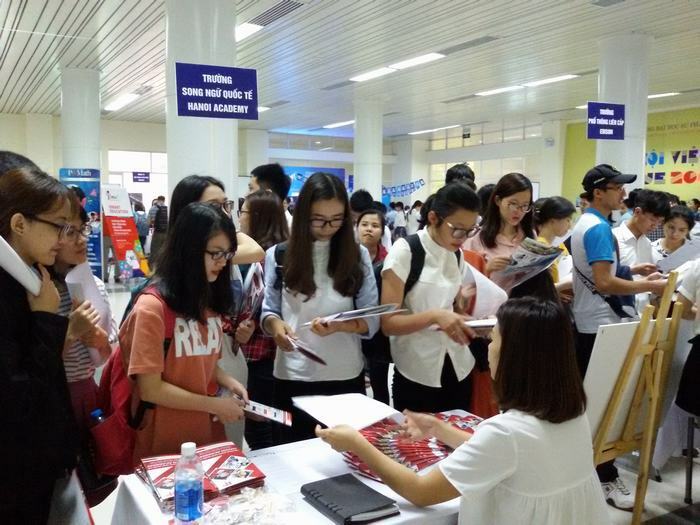 Over 1800 seniors of the university and many students from the first year to the third year also participated, learned and registered recruitment at the booth of the unit. 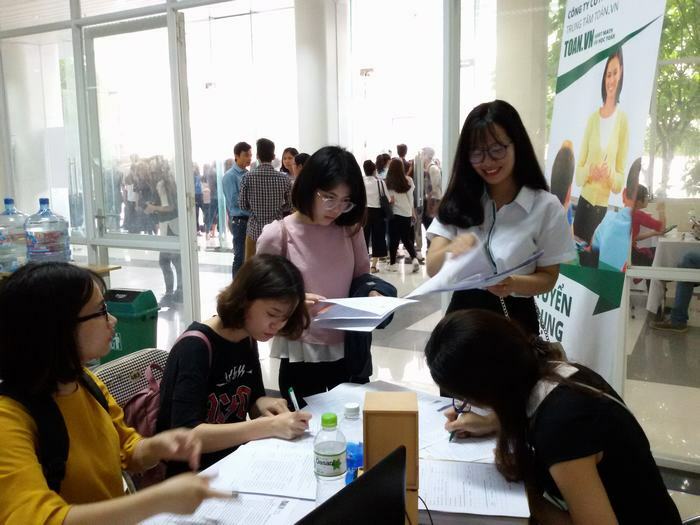 According to our observation, the students interviewed evaluated the job fair organized as a good opportunity to get direct access to the recruiters, to grasp the career opportunities, and to simultaneously obtain useful knowledge for future employment. 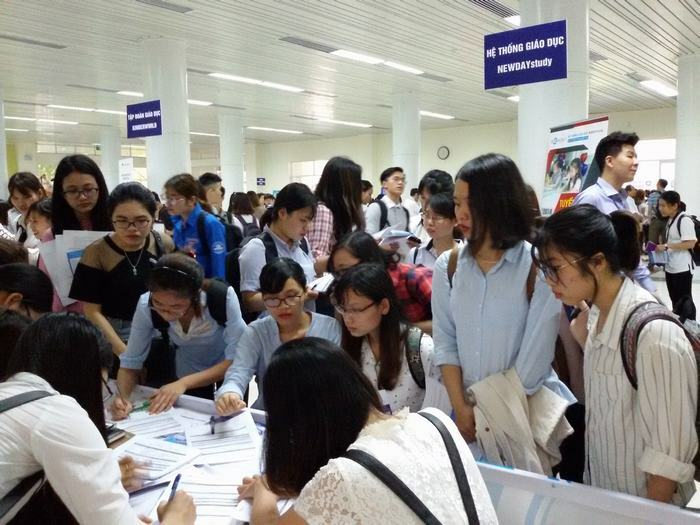 With what has been learned and practiced throughout four years at Hanoi National University of Education, now many students are confident about their job search opportunities after graduation.